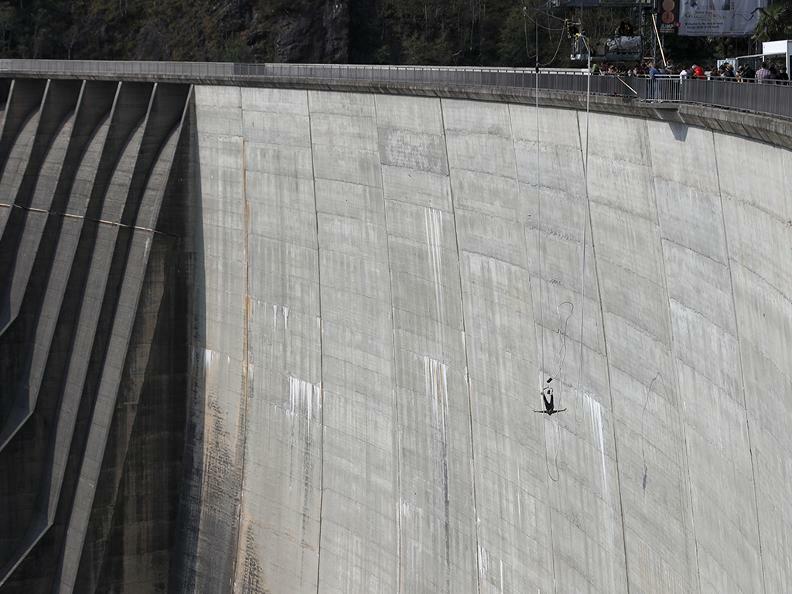 According the global surveys, Bond's leap from the Verzasca dam is considered the best stunt in film history. 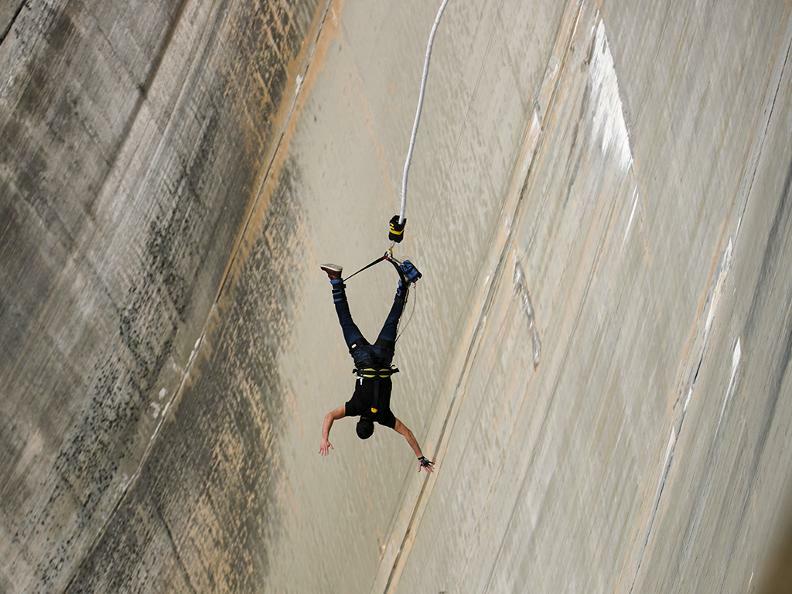 And the ultimate adrenaline rush at Lago di Vogorno is also called 007 jump or GoldenEye Bungee Jump. The 007 incentive programme starts with the pleasant journey up to the dam amidst beautiful green countryside. 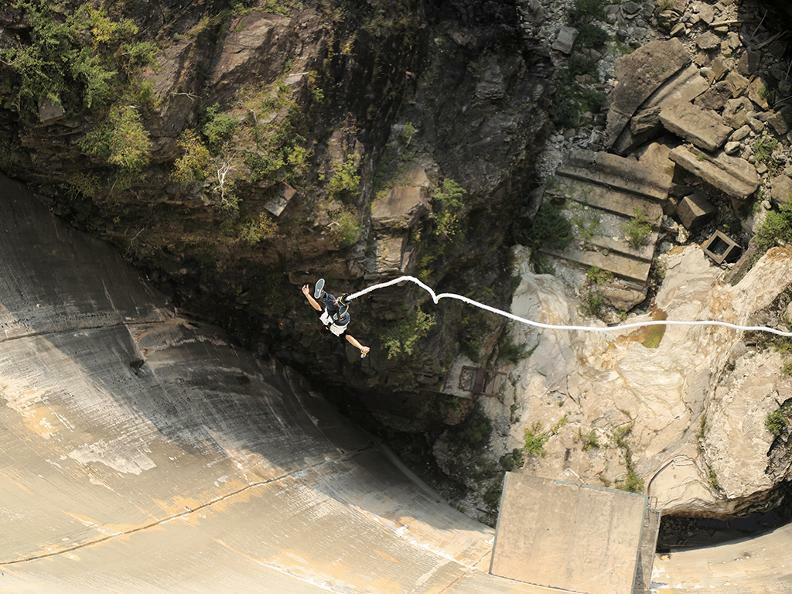 Finally you arrive to the bungee jumping platform on the dam and the guests are welcomed with an aperitif. 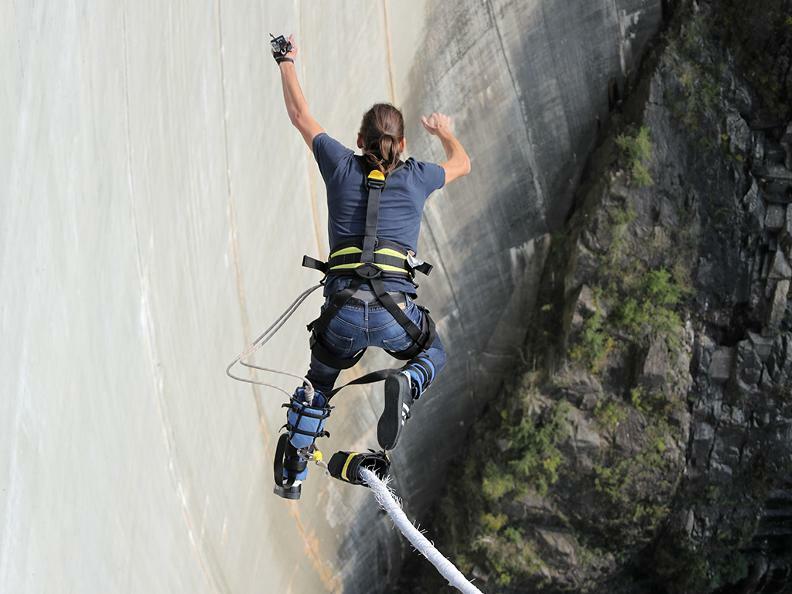 The organisation's stunt team gives a demonstration of spectacular bungee jumps. 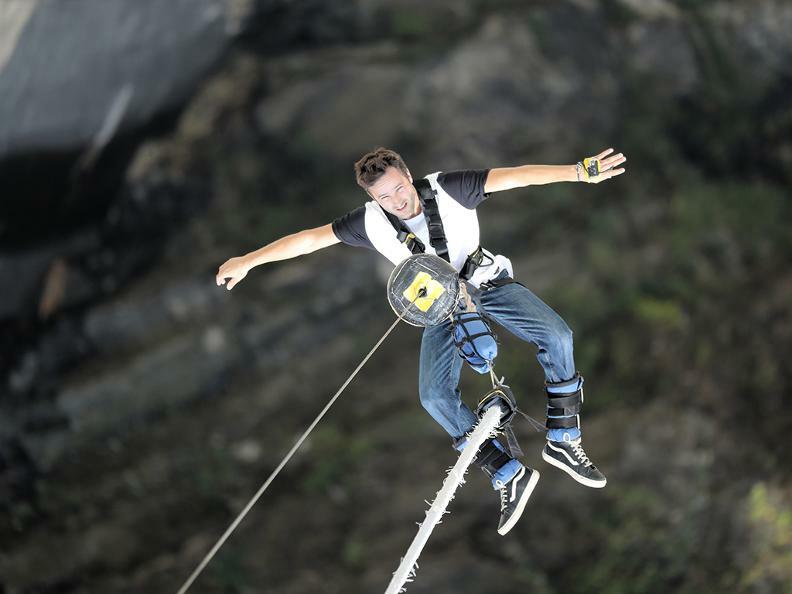 Now it's time for the bravest in the group to experience the thrill of the jump! 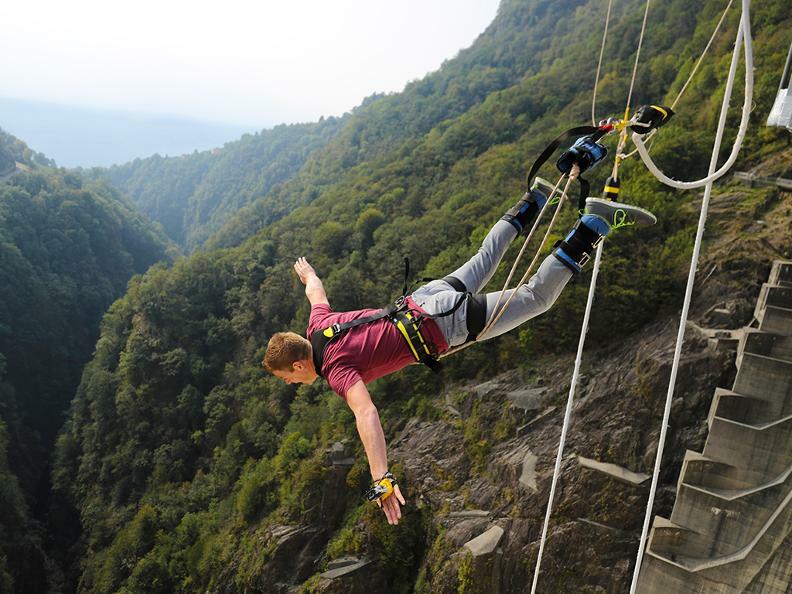 And you can be sure, that it is an unforgettable experience for the whole group! 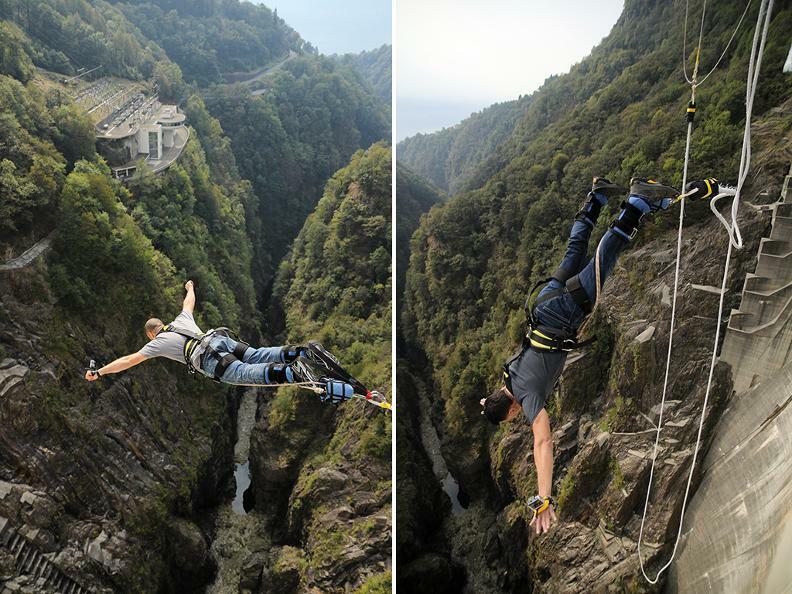 The programme can be extended to include a visit of a historic stone village and of the Romanesque bridge at Lavertezzo, where a cocktail will be served and where you can see the amazing huge stones and the clean water of the river Verzasca. Of course, it is also possible to do a walk with stops along the way to join in some team games: "bowls" or mini Olympics. 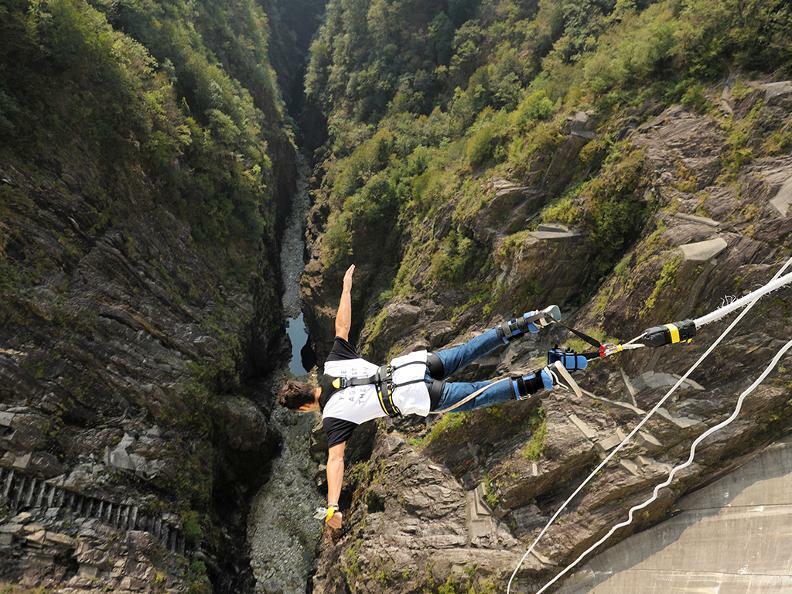 The prize-giving can then be organised at a typical "grotto", where you can enjoy local, Italian cuisine and the genuine atmosphere of Ticino.